In between Brigham City and Logan is the picturesque town of Mantua, UT. It’s surrounded by green mountains, has a small reservoir, and is home to a growing complex of short and sweet mountain bike trails. Over the past few years and through the efforts of multiple Eagle Scout projects, the Eagle Rise trail system has been cut from land owned by Brigham City at the base of the mountain east of the Mantua Reservoir. The Mantua Reservoir also has a 4.2-mile trail along its dike. The Dike Trail is a wide, flat gravel path that encircles the lake. It’s suitable for everyone of any ability. There are four trailhead/parking areas for the dike/reservoir. They are the northeast, northwest, southwest and southeast trailheads. They are all perfect for accessing the Dike Trail and each give you access to Eagle Rise as well. Eagle Rise and surrounding trails are at the most a moderate outing. It would be a perfect outing for a family or for people with beginner skills. Not a lot of climbing, not very technical, and not very long, it’s definitely worth exploring. Even though the rides are moderate, the visuals are not. 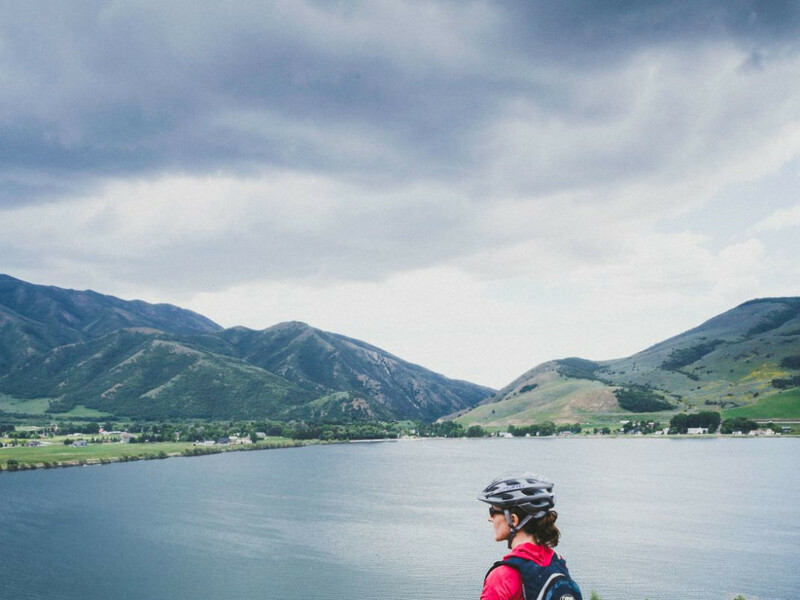 Riding the aforementioned Dike Trail in a counterclockwise direction provides an awesome view of the Wasatch Mountains behind the town of Mantua. And, the south and east sides of the reservoir hold cottonwood trees where waterfowl can usually be spotted. If you’re determined to stick to Eagle Rise you can park at the southeast trailhead. Ride north on the Dike Trail, take the rocky chute to bypass the gate, then follow the single track as it branches to the right from the Dike Trail. This narrow trail gradually climbs its way through fields of grass and sage before heading north. Soon you will come to the beginning and end of the Eagle Rise loop. Take the left fork and continue climbing at a very comfortable pace until you hit the junction with the Knoll Trail. You may either turn right and loop back to the trailhead or hang left and make the half-mile journey to the knoll. The single track of the Knoll Trail gradually descends to a shallow saddle of the ridge then will lead you to a nice view over the lake. A crude wood bench makes a great place sit and soak in the scenery. The reservoir, the mountains, and the surrounding hills all flow together to make this beautiful valley. Having a wonderful time with your family, beginner riders or not. 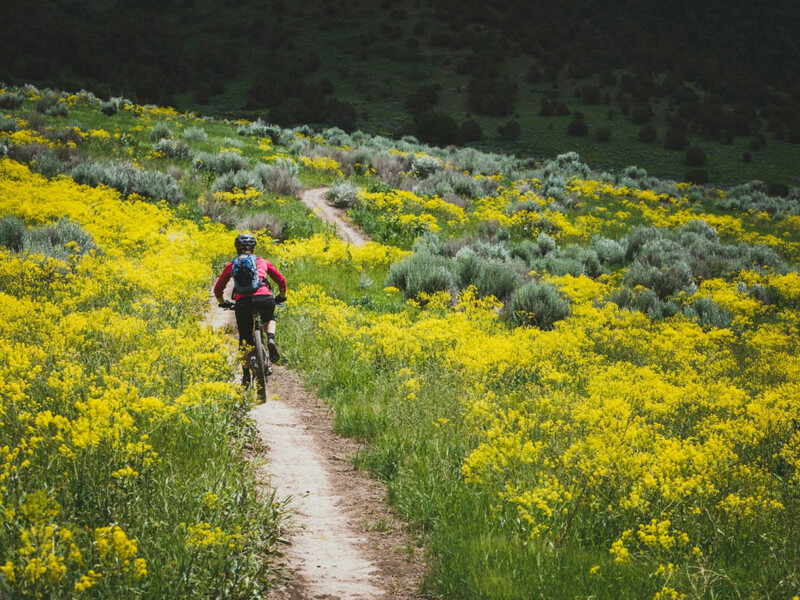 The scenery of mountains, valleys, fields of grass and sage, cottonwood trees, and wildlife is what makes these trails so spectacular. And on a hot summer day you can’t beat going for a swim in the Mantua Reservoir after your ride. 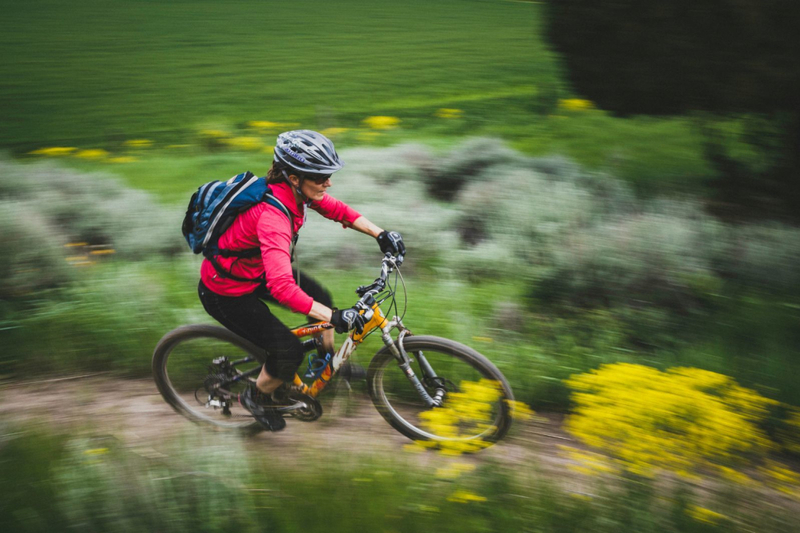 Because this is a trail network full of moderate rides, it’s the perfect spot for families looking to get out and ride together even if some are beginners and some are not. 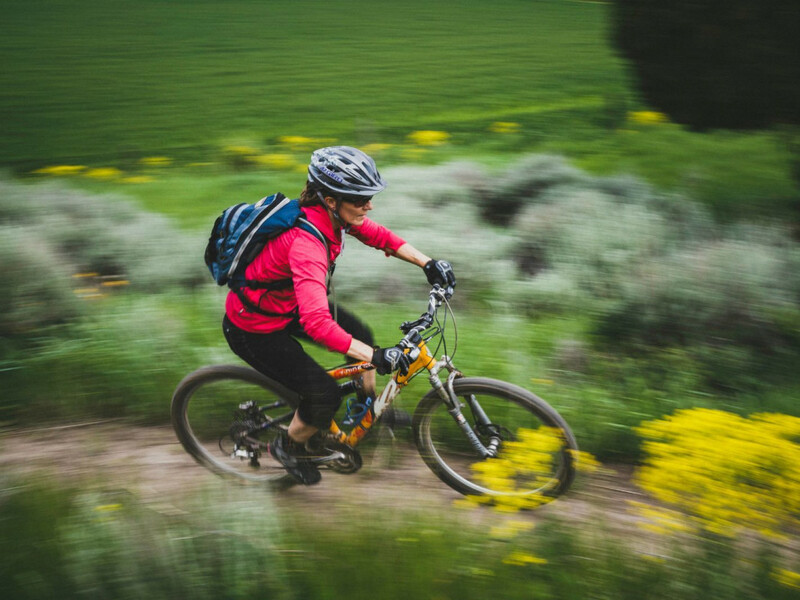 Riders looking for scenery rather than steep, technically inclined rides will also be happy. GPS Coordinates: Varies depending on which of the four trailheads you choose to start from. There is parking at each of the trailheads, but it can become crowded during the summertime.